I have been in awe of Iowa-class battleships since I built a model of one as a kid. So I was pretty stoked yesterday when I got to tour the Wisconsin in Norfolk. What an incredibly awesome vessel! It’s hard to imagine something that large and powerful having its keel laid down in 1941, but massive ships really were in their heyday in the first half of the 20th century. Anybody here serve on the Wisky or other US battleship? If so . . . thanks! I've been on the Wisconsin myself and it, coupled with the adjacent Nauticus museum, is a fun outing. If you enjoyed it, make a point sometime of allocating several hours to touring the North Carolina in Wilmington, which has much more access to the entire ship coupled with excellent accompanying graphics, audio and video. Plus it is beautifully restored and maintained, giving one a real feel what life on board was like. It'll fill in a ton of details and things you may be curious about after seeing the Wisconsin. We've been on a number of old warships and the NC is by far the best done of the lot. Just fantastic. I very much enjoyed my tour of the Wisconsin. I love visiting subs as well. The wifey would rather tour Flemmings. I've been aboard the New Jersey. They're big bastards. Definitely impressive. Toured the North Carolina, when I was a kid. Would love to do it again. 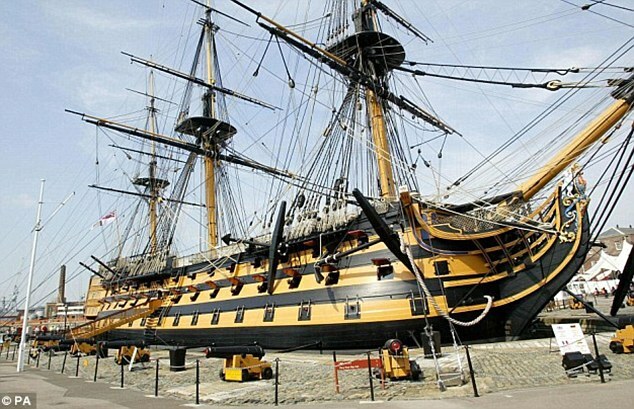 Also, had a fine time touring Lord Nelson's flagship, HMS Victory, in Portsmouth. Rather different from the North Carolina. As stated, your access to nearly all areas of the ship will give you another dimension in shipboard life. I was crew on the USS Halsey CG-23 (guided missile cruiser) a bit over 4 years worth from 1986 thru '90, about 1/3 the size of the mighty BB's... but the interior spaces were very much the same. I toured the Wisconsin in '06 when I was going through on the Loop, it's an amazing ship! Missouri visited Sydney in 1988 for the Navy Bi Centenary. A magnificent sight with pride of place mooring in the Harbour. I think it was not long after restoration, by ? Regan. We had the distinction of being warned off by loud hailer, very politely,for approaching too close in our sailboat while trying for a better view.